There are those out there that say, “New isn’t always better.” But at Tindall, we believe that it’s only through constant innovation that we’re able to tackle the most uncommon and complex challenges. 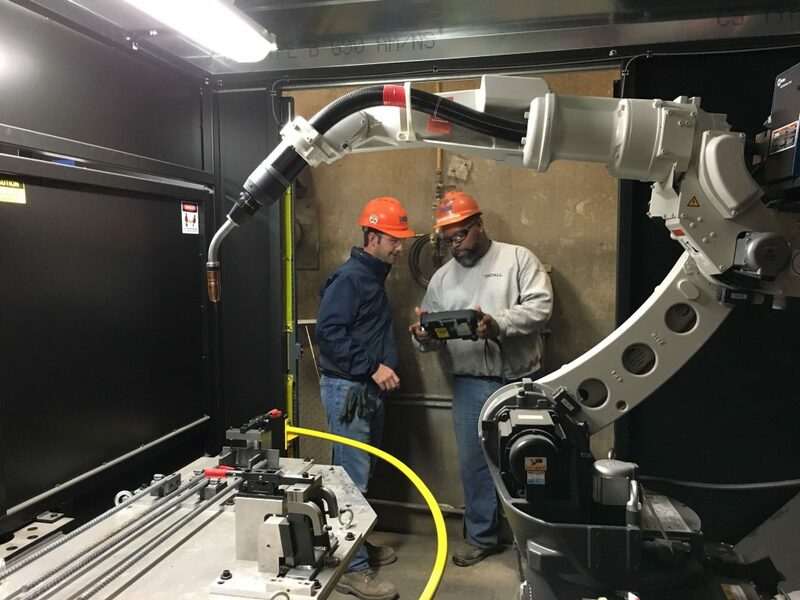 This commitment to improving our processes and products through creative solutions, hard work, and the early adoption of new technologies recently led to our acquisition of a Miller PerformArc 750S Robot Welding Machine in our Virginia Division, and a new CNC router at our Georgia Division. The PerformArc 750S is three times more productive than manual welding, and its turntable design allows the operator to continue working in tandem with the robot. This machine is capable of welding bearing plates, chord connectors, foundation connections, and flange connectors. The CNC router, capable of cutting plywood, Styrofoam, and high-density plastic, was originally purchased for use with stair applications. Today, the team utilizes the machine for both normal and special form work. The only way to create exceptional work is by having the right tools for the job.